Katherine Montag Schafer is an assistant professor in the Department of Family Medicine and Community Health at the University of Minnesota. She is a faculty member with the St. John's Family Medicine Residency Program and practices at Phalen Village Family Medicine Clinic. 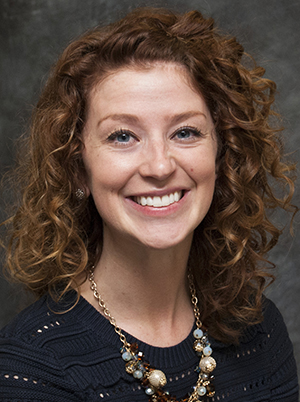 She is a 2013 graduate from North Dakota State University College of Pharmacy and completed PGY1 and PGY2 training at Hennepin County Medical Center, specializing in ambulatory care pharmacy practice, in 2015. Brown K, Montag Schafer K, Keenan A. In patients prescribed chronic opioids for pain management, do pill counts prevent diversion? Evidence-Based Practice. 2018; 21(8):51. Montag Schafer K, Redit S. Assessment of perceived barriers to herpes zoster vaccination among geriatric primary care providers. Pharmacy. 2016; 4(4): 30. Schafer KM, Gionfriddo MR, Boehm DH. Shared decision making and medication therapy management with the use of an interactive template. J Am Pharm Assoc (2003). 2016;56(2):166-72. Schafer KM, Reidt S. Herpes zoster vaccine in the long-term care setting: a clinical and logistical conundrum. Consult Pharm. 2016;31(1):33-7. Schafer KM, Reidt S. Evidence and barriers for herpes zoster vaccine in the long term care setting. Topics in Geriatric Medicine and Medical Direction. 2015;36(5):1-4. Altstadt A, Aragon B, Montag K, McCann M. Non-steroidal anti-inflammatory drugs: effective therapy, potential risks. Minnesota Health Care News. 2014; 12(12):16-19.